Take internally only under professional supervision. Do not take if suffering from high blood pressure. Do not take with MAO inhibitors as it can cause a sudden rise in blood pressure. Farm animals that ingest large amounts, especially along with alfalfa, may suffer fatal internal bleeding. Native to Europe, broom is commonly found on heaths, along roadsides, and in open woodlands. It is naturalized in many temperate regions, including North America, Africa, Canary Islands, Chile, and Japan. In the US, Australia, and New Zealand, it has overrun large areas of land once used for recreation and farming. The plant is a tall deciduous shrub, growing to a height of six feet, with narrow ridged stems, small trefoil leaves and bright yellow flowers in leafy terminal spikes. The leaves and pods are mildly toxic to farm animals if ingested in large amounts. The flowering tops are used by herbalists for medicinal purposes and are gathered from spring to autumn. Both the common and species names indicate its usefulness as a sweeper ("scopa" means broom in Latin). 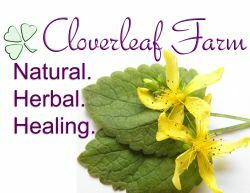 Its medicinal value is not mentioned in classical writings, but it does appear in medieval herbals. The 12th century Physicians of Myddfai recommended broom as a means of treating suppressed urine. Broom was adopted at a very early period as the badge of Brittany, and has a long and colourful history. Geoffrey of Anjou was said to have thrust it into his helmet before going into battle so his troops could see him. Henry II of England adapted broom’s medieval name (Planta genista) as his family name Plantagenet). The shrub was seen on the great seal of Richard I, and adorns the Westminster Abbey tombstone of Richard II. Its medicinal uses were listed in the Pharmacopoeia, published in London in 1618 and in the US version until 1978. It was withdrawn by the FDA for its potentially dangerous side effects, which are no worse than many of the approved drugs. Some of these side effects include the following: vomiting, diarrhea, impaired vision, and profuse sweating. Broom tops have been pickled and used as a condiment similar to capers. Sparteine is a potent alkaloid with actions similar to those of nicotine, slowing the heartbeat by suppressing certain nerve impulses. Other alkaloids in broom have shown to raise blood pressure and stimulate uterine contractions. Scoparoside is a glycoside that is believed to have diuretic and laxative properties. Common uses included ridding the body of excess fluid especially in CHF (congestive heart failure), as well as for treating cardiac arrhythmias, including an irregular, fast heartbeat. The plant acts on the electrical conductivity of the heart, slowing and regulating the transmission of the impulses. Since it is strongly diuretic, it stimulates urine production and thus countering fluid retention common in CHF cases. In Germany, broom is considered gentler and less toxic than the drug quinidine for treating heart arrhythmias. It is also used to stimulate uterine contractions, and, since it causes the muscles of the uterus to contract, it has been used to prevent blood loss after childbirth. By constricting small arteries, broom is said to help control heavy menstrual bleeding and reduces varicose veins.